Today on CSReview, is Jade Valour, a native New Yorker, a professional actor and classically trained singer who has worked in theatre and music for several decades, both on stage and behind the scenes. Jade’s new book Salomé is an exploration of a myth, a religious belief and a cultural fascination with a female character. CS: Welcome to CSReview, Jade! You are a public person, active and very busy. What prompted you to become a writer? Jade Valour: Strangely, my desire to write developed out of my fascination as a young music student with Richard Strauss’ opera Salome with its exotic music and its evocative text from Oscar Wilde’s drama of the same title. I have always loved mythology, and Salomé captivated me as only a myth can. But the Salomé we know is usually depicted as a femme fatale: wanton, depraved, lusting after a prophet who rejects her and whose head she finally demands on a silver platter. Although I adored both opera and drama, I found these images deeply disturbing – an interpretation of this mythical figure that I felt compelled to rectify. It was then more than thirty years before I could define how I wanted to do this. ‘My/Our’ Salomé was envisioned as a film, and I began writing the screenplay with my co-author Sharlie Pryce in 2001. Two years later, during my first visit to New Zealand, I spoke to a publisher about the screenplay, and he suggested we write the novel. In January 2004 we began to do just that – and now it’s published! CS: Publishers, they love keeping their authors occupied. So, in all this, how would you describe your journey so far? Jade Valour: It’s been an amazing adventure. Sharlie and I have had some fantastic and even hilarious times, just in the actual writing of Salomé. We’ve been to the Frankfurt Book Fair and the Berlin Film Festival together. As a result of the film festival, I ended up going down to Cologne (Germany) for the premiere of the film Klimt, where I actually met its totally charming star, John Malkovich, and gave him our script (we originally pictured him as our villain)! Salomé took me to Wellington, New Zealand in 2003 for the world premiere of The Return of the King, a journey on which I not only met Elijah Wood, the young actor who inspired our male protagonist, but also two people from the production who have been incredibly kind and supportive of the project over the past nine years – Sir Richard Taylor, director of Weta Workshop and producer Barrie M. Osborne (The Lord of the Rings, The Great Gatsby). Their encouragement has often kept us going through hard times. I was privileged to be in contact with Prof. Helmut Ziegert, professor of archaeology at the University of Hamburg whose excavations of the palace of the Queen of Sheba in Aksum-Dungur in 2008, to my astonishment and delight, mirrored an important ‘historical’ element of our story. It was incredible hearing about the excavations – literally like talking to Indiana Jones! I’ve been living in Wellington for five years now and I’ve had some wonderful opportunities to meet people in the film industry, to hone my skills in screenwriting workshops with a Hollywood script consultant. The Emerging Artists Trust here has provided me with a wonderful mentor: a producer who has been advising me with regard to putting the project together. I’ve directed two film shoots for a promo-film we’ll be putting together to pitch the screenplay version of Salomé (something I never anticipated doing!) and worked with a very talented artist, Matt Donnici, who did the beautiful illustrations for the novel cover and promo-film. Now the novel is available to the general public – a milestone in an ongoing and inspiring journey. CS: Fascinating. Hard work pays off, and I bet you’re feeling very proud of yourself. Do you have a special message to your readers? Jade Valour: If I have a message for my readers, it is connected to what set me to writing in the first place: to be able to give young people different role models. 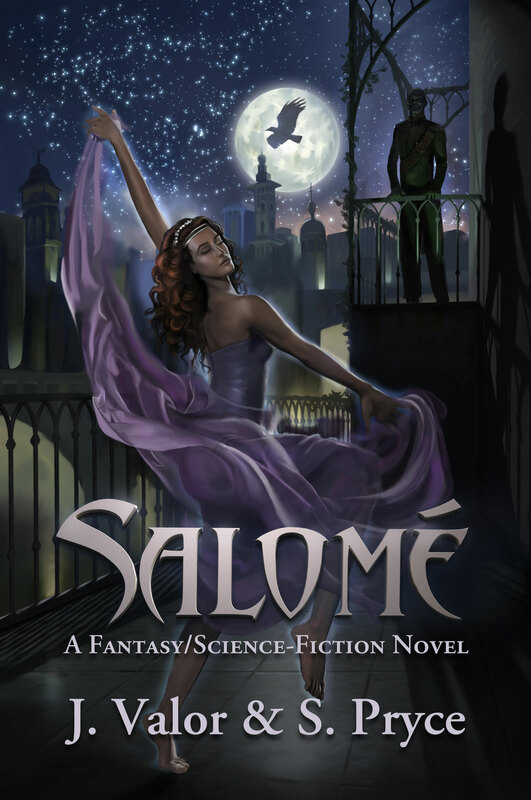 Salomé and Elijah are not your conventional protagonists. Particularly Salomé, whose name means ‘the Peaceable One’ (from the Hebrew and Arabic root of ‘Shalom’ and ‘Salaam’). She is not your typical heroine. She never uses her power to destroy only to defend and protect. That she must watch as the consequences of some of her well-intended actions result in death – this is part of the tragic element of her character. Without having to be an aggressor, Salomé is still incredibly proactive, driving the action of the story all the way. And although she comes from the upper castes, she has a deep-seated and all-encompassing social conscience – she cares. She is willing to risk everything for what she believes in. Angelina Jolie speaking at the recent G-8 on behalf of women in war zones comes to mind. These are the kind of women our society needs. CS: I can see where you’re coming from with this. Indeed, positive role models are much needed at all times. We’re all connected, we breathe the same air, walk the same earth. Where do you see yourself in the cosmic mosaic? Do you know your purpose? Jade Valour: I prefer to see this simply as where my passions have taken me. Perhaps the following story will answer this in part: in 1977-78, when I was singing at a theater in Germany, two things crossed my path that were to have a major influence on my life and interconnect years later in an unexpected way: 1) I read The Lord of the Rings for the first time and, 2) a new recording of the opera Salome was released. I was immediately swept away by both and they have remained my great loves – literary and operatic – over the past several decades. The recording drove/inspired me to want to write Salomé in the first place. In 2001, when we began to write the screenplay, the first of Peter Jackson’s Tolkien films, The Fellowship of the Ring, came into the cinemas. My love for these films would eventually take me to New Zealand in 2003 with an early draft of our screenplay – a journey that was to change my life and influence the development of Salomé profoundly. 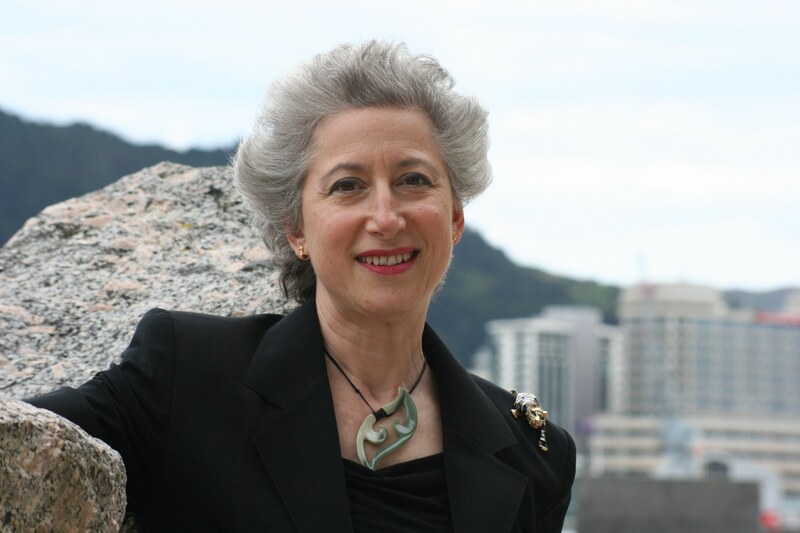 Thus, two events that happened in 1978 formed a single thread that brought me to New Zealand – where our Salomé was completed some 35 years later. Joseph Campbell – who is certainly one of my own heroes – called it ‘following your bliss”. I believe this is no seldom occurrence. It is, in the end, our passions that guide our lives, transform them and make us grow. CS: 35 years… Very impressive. Now to geography – New Zealand vs New York… That’s quite a change of setting. What is special about New Zealand? Do you miss New York? Do you have a favorite place on the planet that you’d love to be in the most? Jade Valour: It’s actually New York > Germany > New Zealand. Germany, mainly Hamburg, was a huge chunk of my life. I went to Germany to be an opera singer and came to New Zealand 35 years later because I wanted to be involved in the film industry. Easier said than done. I don’t miss New York, but it does feel like ‘home base’ when I visit. Germany was cultural bliss and most of my close friends are there. New Zealand is my love of nature – mainly the proximity to the ocean. A favorite place? As long as it has empty beaches to take long walks and decent weather to take them in, I’m in heaven! CS: Jade, this was a lovely walk on the beach, quite refreshing and what a wonderful, deep story that you’ve shared. I wish you and Salomé the sucess that you two deserve. Thank you for being on CSReview tonight.